How Many Calories Are in Roasted Red Peppers? Which Nuts Are Alkaline Forming? A halved butternut squash with seeds. 2 How Many Calories Are in Roasted Red Peppers? Butternut squash seeds may not be as familiar as pumpkin seeds, but they have comparable nutrition and flavor. They are nutty and fibrous, and contain protein and heart-healthy fats. Butternut squash seeds are best roasted and consumed by the handful as a snack, or added to cereals, breads and trail mixes. The butternut squash is shaped like a large pear with tan skin and light-orange flesh, as described by World's Healthiest Foods. The flesh contains plentiful vitamin A and vitamin C, but the seeds contain more protein, beneficial lipids and ash, defined by the University of Idaho's agricultural division as a food's total mineral matter. The seeds themselves are off-white, tapered ovals under an inch long. All Recipes' preparation of one cup of roasted butternut squash seeds with olive oil and salt has 216 calories, 8.5 g protein, 19.2 g fat, no cholesterol, 297 mg sodium and 6.1 g carbs, 1.3 g of which is fiber. Butternut squash seeds are rich in calcium and zinc, and All Creatures lists one cup as having 285.4 calories, 11.87 g protein, 12.41 g fat, 34.4 g carbohydrate and 2.43 g ash. The seeds contain nine minerals, 13 vitamins, 18 amino acids and three fats. 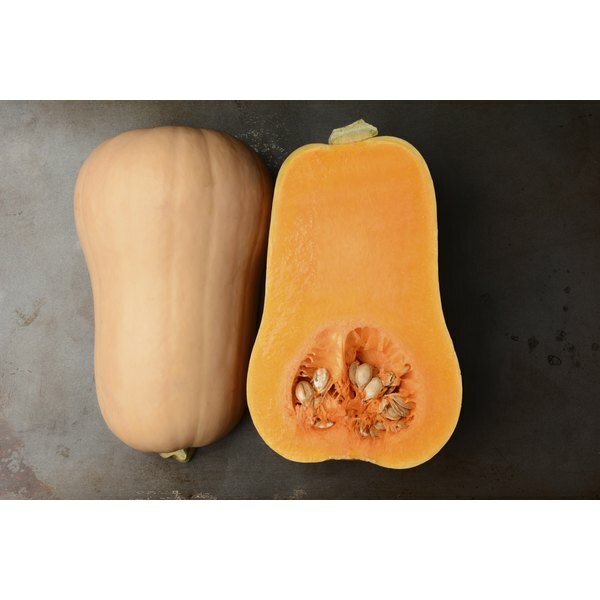 Butternut squash seeds are a good source of protein, with 11.87 g. According to All Creatures, the protein in the seeds is made up of 18 amino acids, with the top six being glutamic acid; arginine; aspartic acid; leucine; and lycine. The seeds' 12.41 g fat per cup is predominantly composed of heart-healthy monounsaturates and polyunsaturates, with no cholesterol. The carb count in butternut squash seeds most likely approximates pumpkin seeds' carb count of 34.4 g per cup, according to the Calorie Counter. 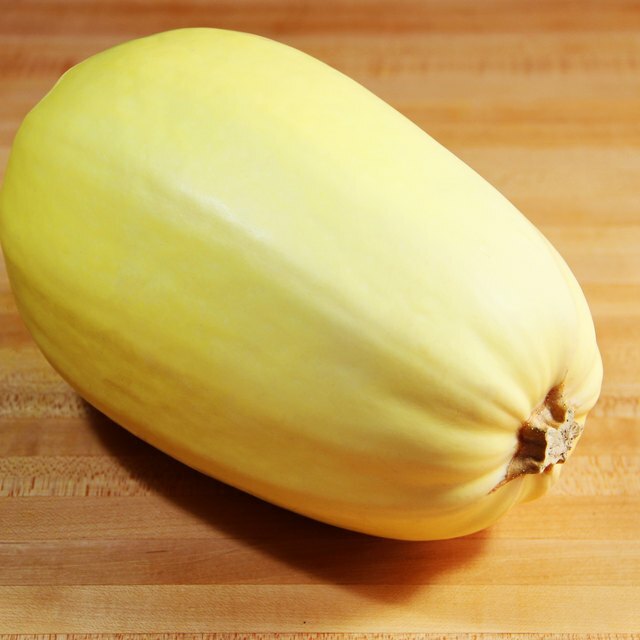 According to All Creatures, the vitamin and mineral tally for a cup of butternut squash seeds is: vitamin A, 39.68 IU; folate, 5.76 mcg; vitamin C, .192 mg; niacin, .183 mg; pantothenic acid, .036 mg; riboflavin, .033 mg; potassium, 588.16 mg; magnesium, 167.68 mg; calcium, 35.2 mg; and iron, 2.118 mg. The Calorie Counter states that this is 12 percent of your daily iron requirement. All Recipes and Nourishing Days both offer a basic recipe of one cup seeds, 1 to 2 tablespoons olive oil, and 1/2 teaspoon salt. After rinsing and drying the seeds overnight on a baking pan, sprinkle with olive oil and salt. Roast at 250 to 350 degrees for one hour, or until they are crisp. All Creatures recipe book adds a twist, replacing the salt with hot sauce. Hot sauce contains capsaicin, a compound that gives peppers their heat and also desensitizes pain receptors in your body, according to Connecticut College's Neurobiology of Disease division.